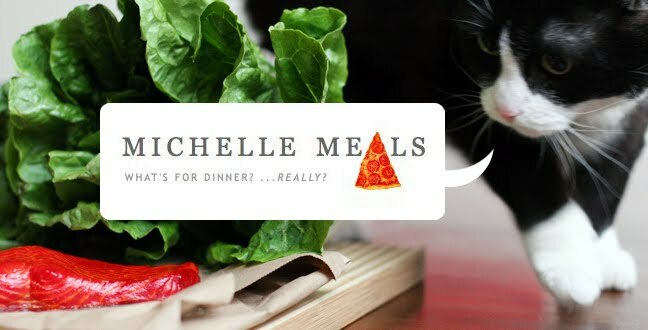 Michelle Meals: Uh, Veggie Hash? Yeah, I don't know what this is. But it's not as bad as it looks. 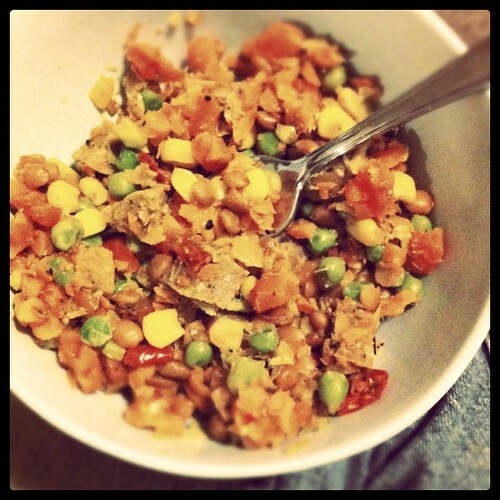 Just trying to use up all my produce before it dies, so I food-processed broccoli, carrots, onions and tomatoes, sautéed them in a pot and added some frozen corn and peas, lentils, salt, pepper and oregano and chopped up tofurky sausage. The spiciness of the sausage made everything else taste not so bad.